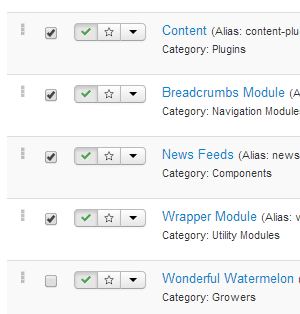 An article can be moved to 'archived status' from the Content > Article Manager screen. This is useful if you publish a lot of articles and there are ones that you still want to be published on the site, but have been displaced in priority by new ones. The 'Archive' Module, once activated, can be used to browse the list of previously archived articles. You archive multiple articles by selecting and then clicking the Archive button in the toolbar. Archived articles are filtered from view in the Article manager. You must change the status filter to 'Archived' to view them. This page was last modified on 21 June 2014, at 23:05.